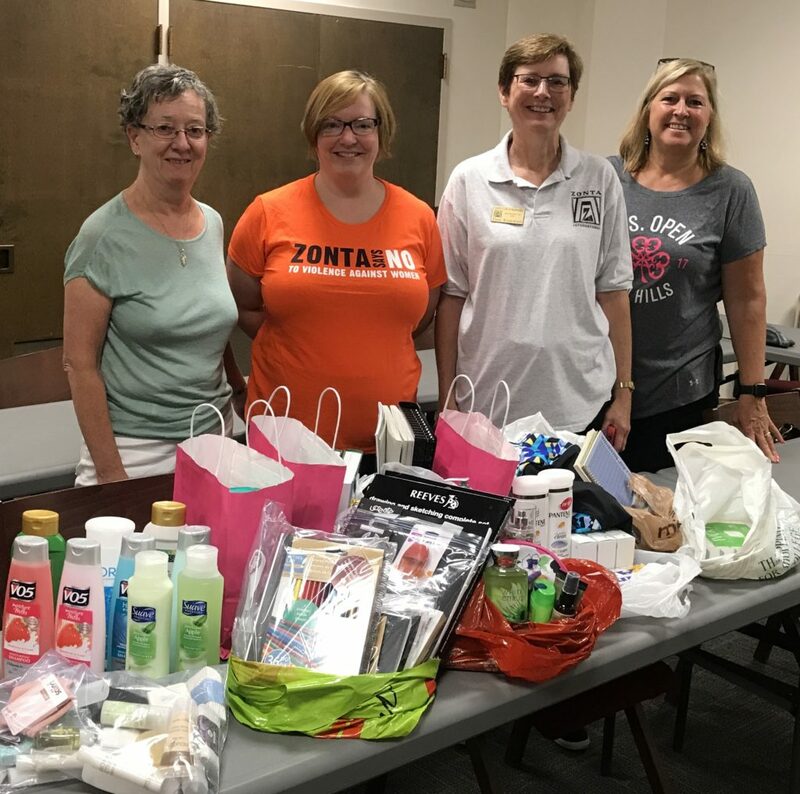 Many personal care products, bibles, art materials and pictures were collected and donated to Lad Lake. 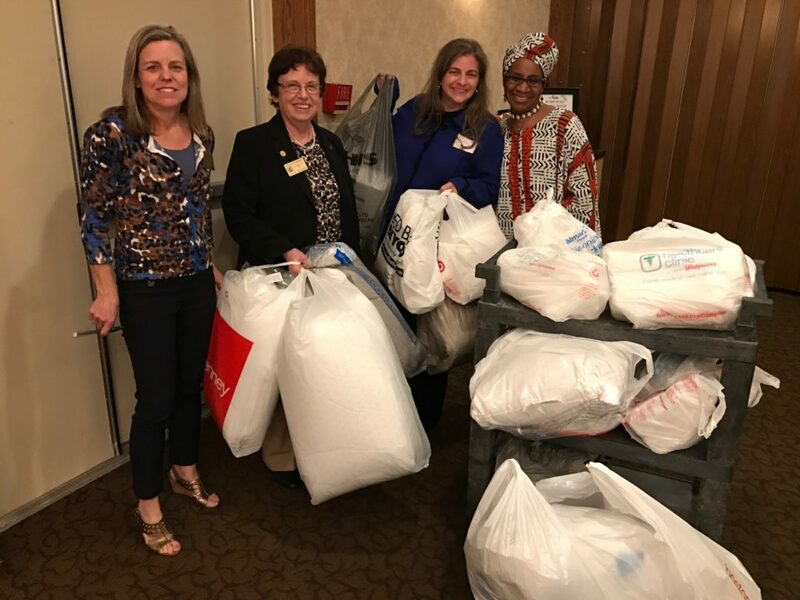 Bath towels, washcloths, pillows and blankets were collected. 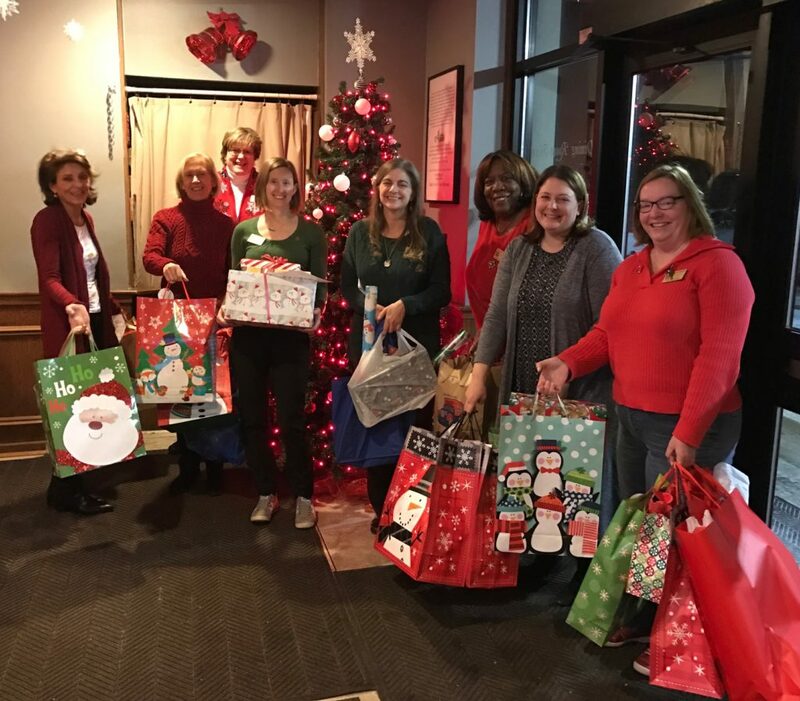 We collected holiday gifts to brighten up the holidays for the Neu-Life children. The children were very excited! 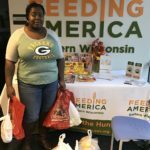 To brighten up the holidays for the residents of Milwaukee, we collected food and checks for Feeding America of Eastern Wisconsin. Thank you to all that contributed! Feeding America was happy to receive the donations. 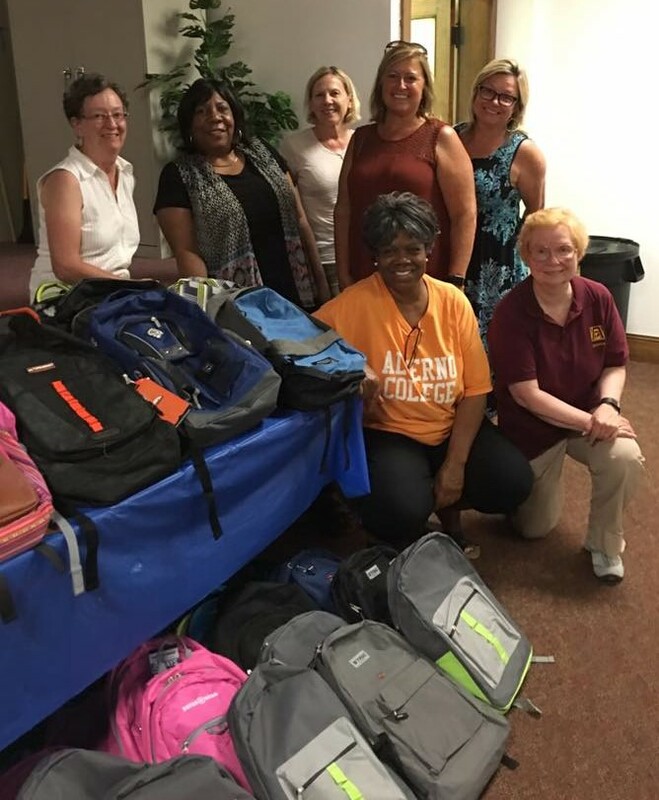 We collected and stuffed backpacks for the Neu-Life Community Development Center participants, helping them to start off of the school year with the correct tools for learning. 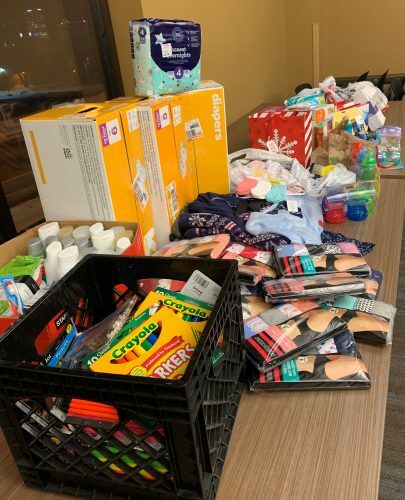 Thank you to everyone who bought and brought children’s items for Sojourner Family Peace Center. 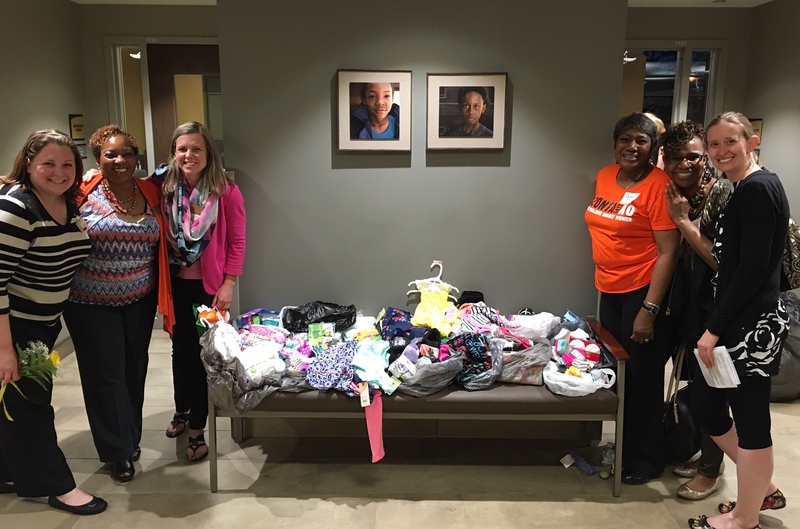 Our meeting was held in their new facility and they really appreciated the generous donation! Thank you! 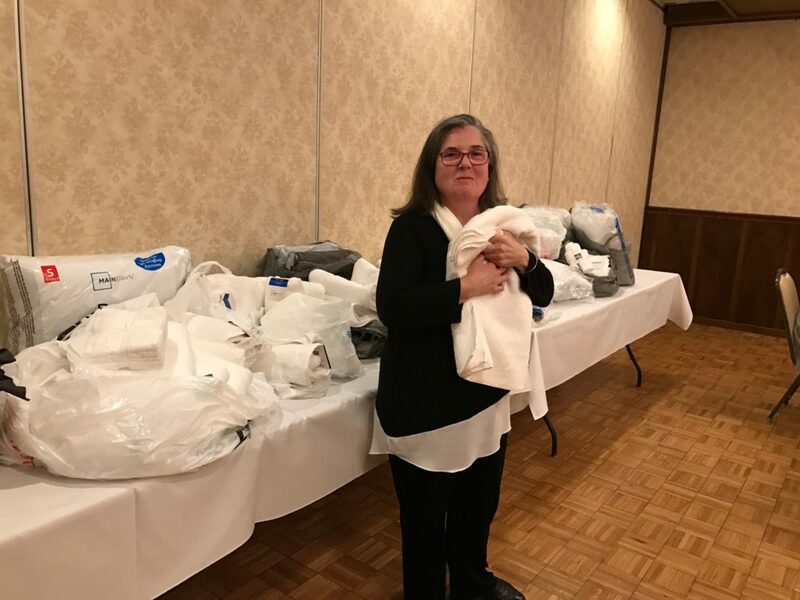 We collected approximately 25 twin sheet sets (white & beige) for CORE/El Centro in April. CORE/El Centro uses the sheets in their rehabilitation efforts (massage, etc.) with women healing from domestic violence. Thank you! In March we collected cookbook for the HeartLove ProStart Culinary Arts Program. 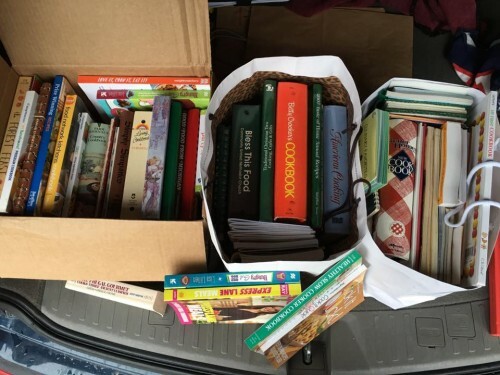 We collected over 50 cookbooks and delivered them to their site.HeartLove Place fills a major gap in central Milwaukee by offering the ProStart Culinary Arts Program, which trains and prepares participants to obtain entry-level careers in the food service and hospitality industry. This is a 14-week program founded by the National Restaurant Association Educational Foundation. 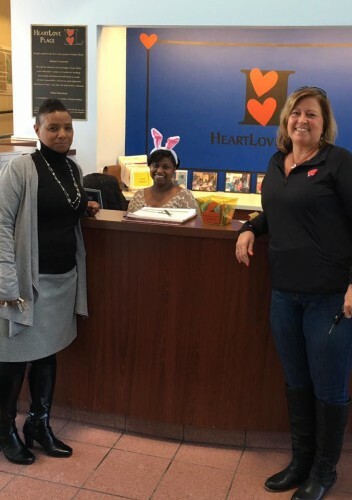 Since its inception at HeartLove Place in 2002, ProStart has graduated over 500 people from the program and has helped place 46% in industry-related jobs. Other graduates have gone on to open their own companies, advance their education further, and take positions in other industries. 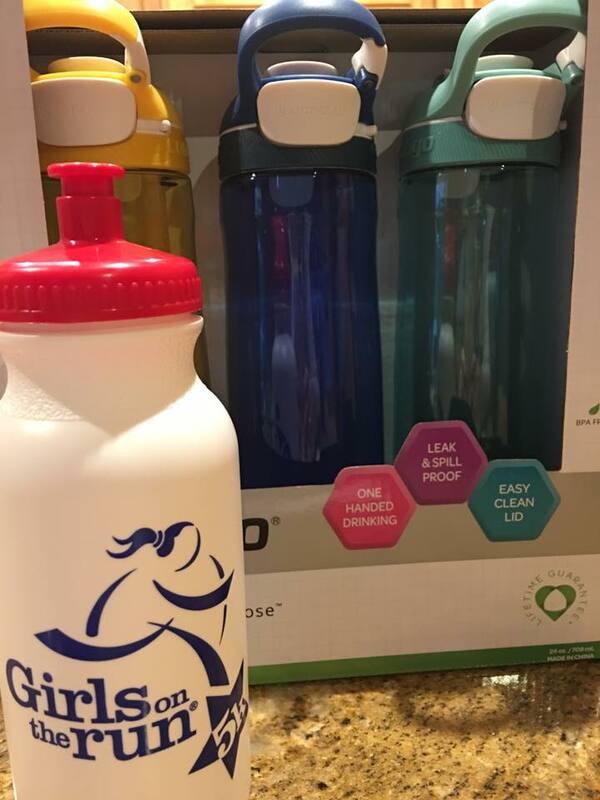 February we collected new and/or gently-used clean water bottles for the students of Neu-Life Community Development! 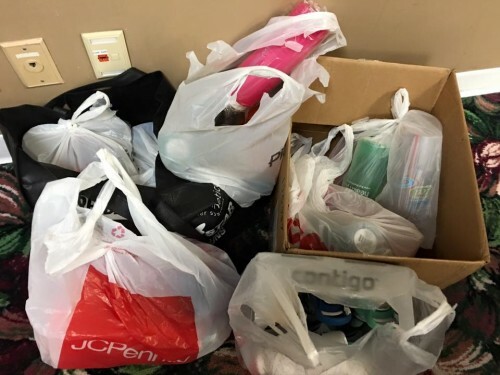 January is the last month for us to collect clothing for Alverno College’s “Dress to Impress for Less,” organized by our very own Jane M. Klausman Women in Business Scholarship winner Kosovka Spreco. Please bring new or gently used professional clothing that would be appropriate for Alverno students to wear to job fairs, interviews, networking events and/or work to the January Club meeting. We provided holiday gifts for the children at Neu-Life, based on their holiday wishes. 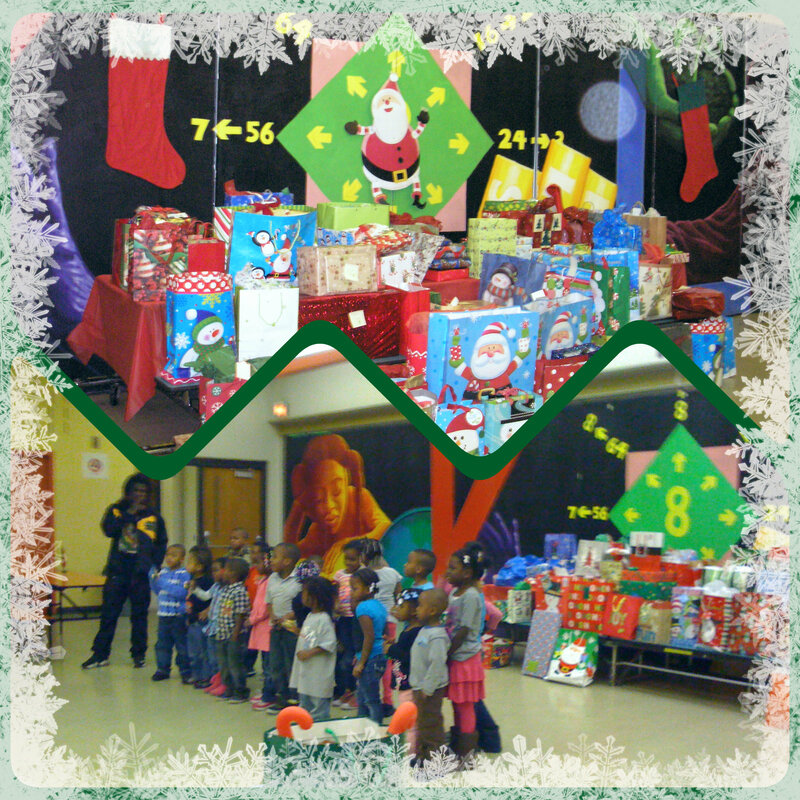 These were delivered to their holiday program and party on December 17th. 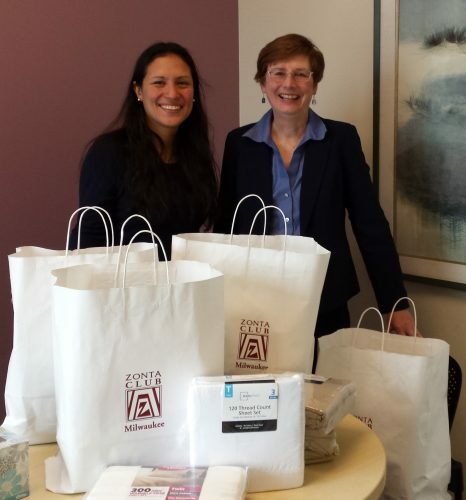 We collected new-born diapers at the November meeting for the Stork’s Nest – St. Joseph’s Hospital. This agency works with new young mothers who lack support from their families and other circumstances that prevent a new mother from getting a good start for her and her baby. Diapers were collected at the November Club meeting. 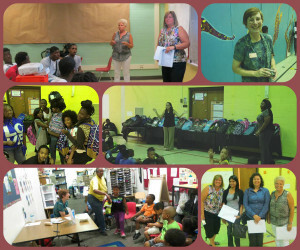 The Neu-Life Career Fair and Back-to-School Celebration was held THURSDAY AUGUST 13 from 1 to 3 PM. About 100 youth participated. 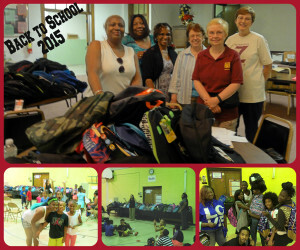 The event was held at the Gwen T Jackson Elementary School as the main site building was under construction. Career Fair: Volunteers conducted sequential short interactive presentations (5 or 6 of about 10 -15 minutes each) with groups of youth of different age groups. 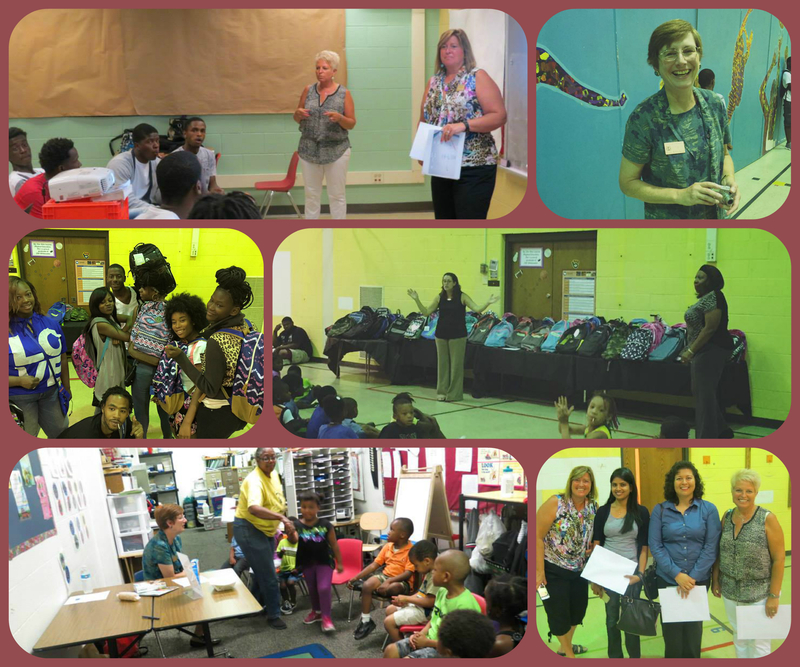 This year we presented Information Technology careers and Fundraising. Last year we presented running your own business, marketing/consumer research, and training as well as interviewing tips and skills. Neu-Life is open to any and all ideas. 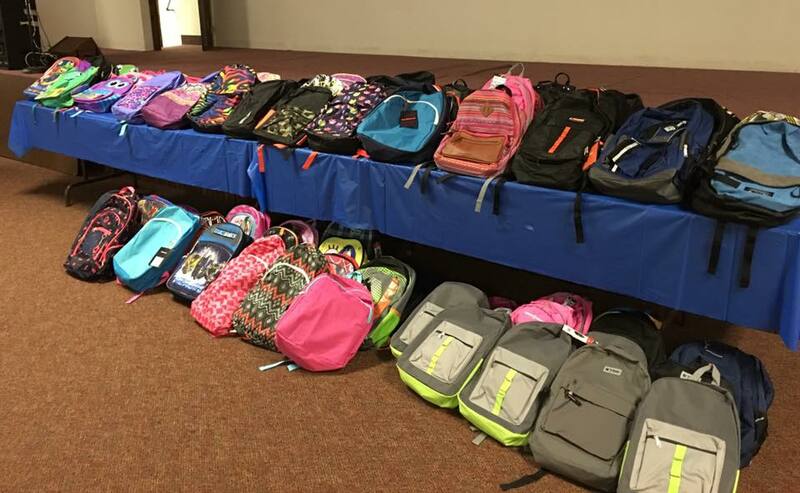 Back-to-School Collection: We again bought and filled backpacks for the back-to-school supplies drive this summer. 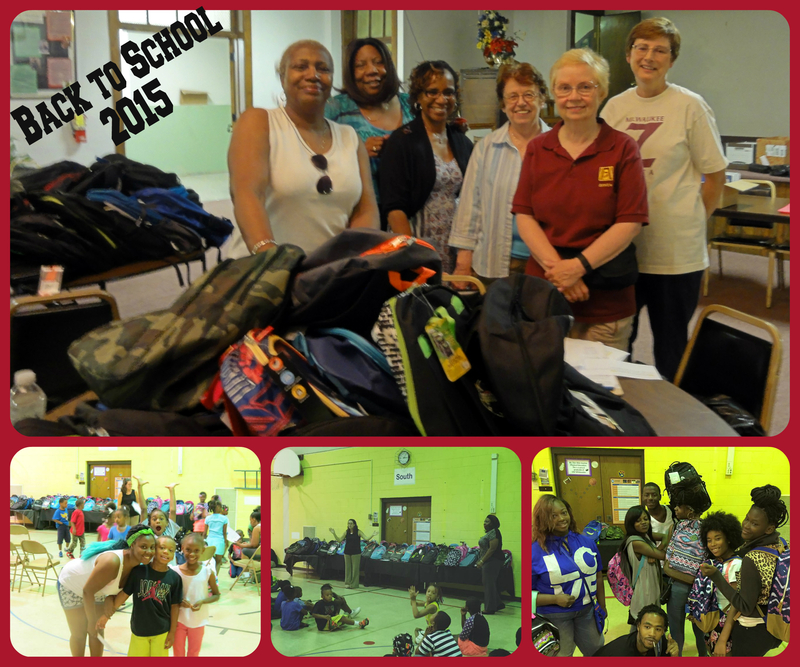 The students appreciated starting off the school year fully prepared! GOT PAINT? If you have flat (not enamel) paint sitting around in your basement that you don’t plan to use, we will be able to use it in the ARTREACH program. 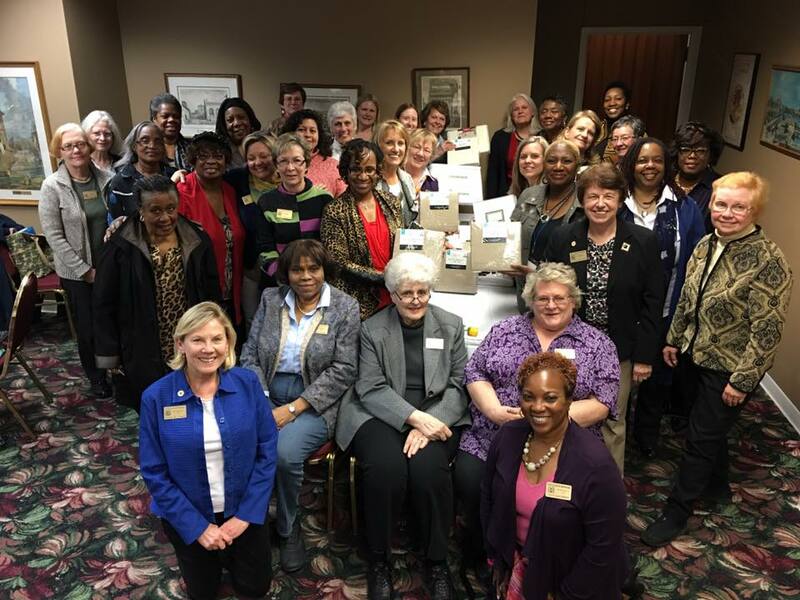 Call Donna Neal and she’ll arrange a pick-up, or bring it to any monthly meeting from now on.